Beginning in the late fifties, the Kraftfahrzeugwerk “Ernst Grube” Werdau began work on a truck designed to replace the outmoded IFA W3 and S4000-1 models. The company had limited resources and work progressed slowly while also having to respond to input from a number of political groups, including but not limited to the Moscow-based Comecon, the National People’s Army, the Berlin Planning Commission, and Communist party General Secretary Walter Ulbricht himself. The truck was to have a cargo capacity of 4 1⁄2 tonnes and be able to take a variety of bodies. All-wheel drive and three axles had to be an option. Production had to be simple, and it had to use a standard engine. The first prototype (W 45LF) was operational in June 1962, with the four-wheel drive W 45LAF following shortly thereafter. It was expected to enter production late in 1964. Capacity was increased to 5 tonnes and the design renamed the W 50 (W for Werdau, where the vehicle was to be built, and 50 representing five tonnes). However, in December 1962 the DDR government decided that construction would be at VEB Industriewerke Ludwigsfelde (IWL) instead of at Werdau. Construction of a new truck factory at Ludwigsfelde began in April 1963. The site covered 170 hectares (420 acres) and the production hall complex was the largest in the DDR. IWL completed the first W 50 truck on 17 July 1965. W 50 production rose rapidly from 5775 in 1966 (the first full year of production) to 16,973 in 1969. Development of further new truck models was stopped in 1969 when the entire capacity of IWL’s development and construction offices was forced to tackle the W 50’s serious quality problems. Efforts to develop new trucks were again hindered in 1971 when priority was to improve the W 50 with a new cab, new 180 bhp engine and better chassis. W 50 production slowed after 1969 but later set new records almost every year, peaking at 29,004 in 1982 and 32,516 in 1986. A high proportion of IWL trucks were exported. Between 1978 and 1987 over 80% of W 50 trucks built each year were sold abroad. 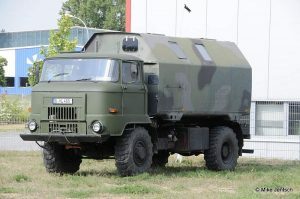 The DDR needed export orders from countries outside the Comecon bloc, and for this IWL continued to develop variants of the W 50. As a result of the 1980–88 Iran–Iraq War, both Iran and Iraq sought a simple, robust, inexpensive truck for their armies. The DDR was interested in supplying both sides in the war, so in March 1982 IWL began development of two derivative models, the IFA W 51 and W 52. The W 51 was meant to enter production in 1983, followed by the W 52 two years later. Part of the W 51 project was realised, but the W 52 was overtaken by DDR government direction for IWL to concentrate on W 50 assembly and to gradually displace it with its intended next-generation successor, the L 60. 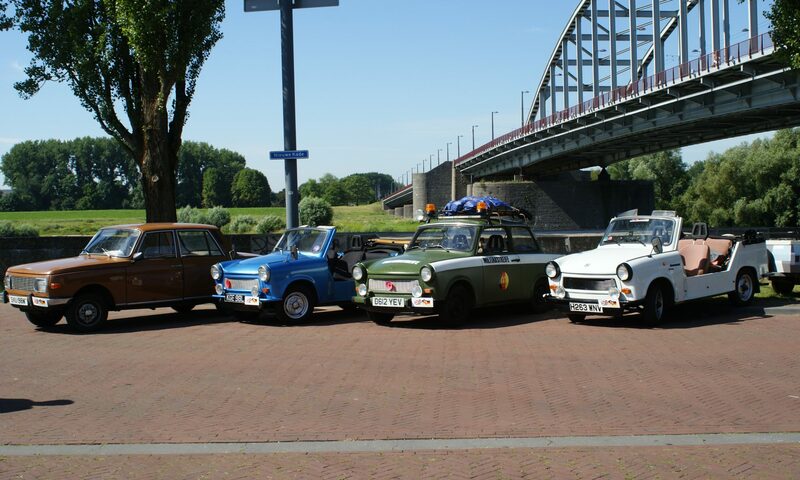 Total W 50 production at Ludwigsfelde from 1965 to 1990 was just under 572,000 vehicles. Two wheelbases were available, 3.2 and 3.7 m (10 and 12 ft). Numerous different versions were developed over the years (about sixty different models were available directly, with other firms able to produce special versions). Right-hand-drive models were built for export and for special uses such as street sweeping. The W 50 was popular with fire departments and examples are still in service in the former East Germany. As required by the original brief, the engine was at first standardised on an updated version of the 110 HP diesel unit used in the IFA S4000-1. The engine was replaced in 1967 by a four-cylinder direct injection diesel version of this engine displacing the same 6.56 litres as the earlier engine but now producing 125 hp at 2300 rpm. The engine was built by VEB IFA Motorenwerk Nordhausen. A slightly modified engine was fitted after 1973 – the new version was a better cold starter and remained operational in temperatures down to −40°C as required by the East German National Peoples’ Army (NVA). From 1976 until 1990, Hungarian bus manufacturer Ikarus manufactured a rear-engined midibus called the 211, which used a variety of W 50 parts including the engine and axles. Demise of the W 50 meant that it too was discontinued. IFA L 60. After the launch of the W 50, IWL undertook development work to increase engine power and reduce fuel consumption, reduce empty weight and increase payload, improve reliability and driver comfort and reduce production time. From 1967 IWL was planning a range of new trucks with sizes of three, five, six and 10 tonnes. Prototypes of 3 and 11-tonne trucks were built. 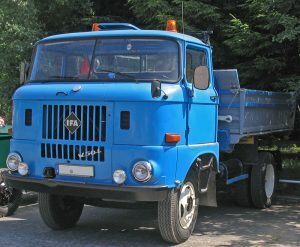 After protracted development, the 11 tonne truck became the IFA L 60. Originally intended to have a Volvo cab, the L 60 was eventually given a cab based on that of the W 50, but able to be tilted forward for access to the engine. The L 60 was finally unveiled to the public at the Autumn Leipzig Trade Fair in September 1986 – production began at Ludwigsfelde in June 1987, twenty years after development work had begun. Disappointing L 60 sales kept the W 50 in production alongside the L 60 until 1990 when, following German unification, production of all IFA goods vehicle ceased through lack of demand.